Giving the fans a little tease of what’s to come on June 1st at the Rogers Centre, Bud Light launched a campaign yesterday to get fans ready for the dance event. The dance event is call Sensation and will draw thousands of music fans, have been patiently waiting to discover the DJs who will be taking the stage that night. 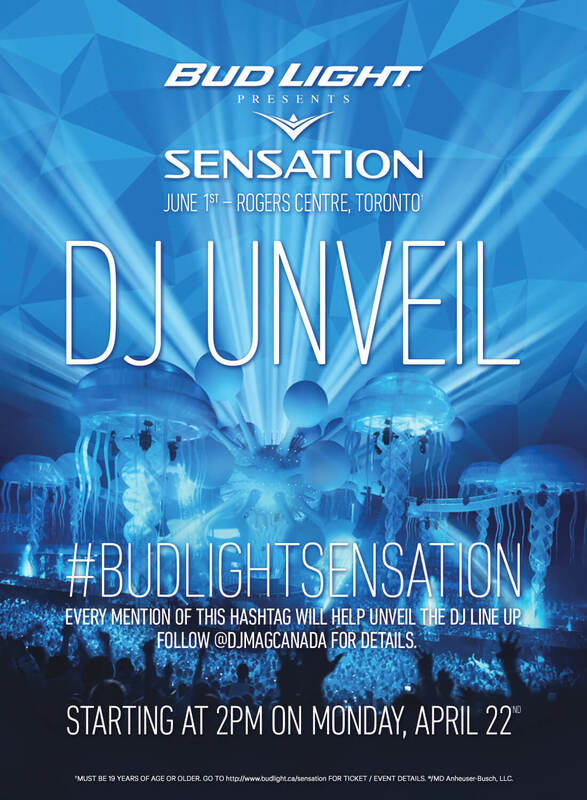 Bud Light also turned to Twitter using the hash tag #budlightsensation where it announced some of the DJs taking party in the event. Artists were revealed one at a time once a certain threshold of mentions is met. The faster the targeted number of hashtags is reached, the faster the talent lineup was unveiled. This online challenge replicates the tension and release that dance music is known and loved for.